As a 1973 crime film based on the true story of NYC police officer Frank Serpico, the movie Serpico is a really fantastic film starring Al Pacino. Nominated for Best Writing and Best Actor Academy Awards, the film itself is considered by many to be one of the best classic films and one of Al Pacino’s best performances. The music is just as magnificent. Michael Barbiero produced the Serpico movie soundtrack album and even received a Grammy nomination for it. One of the best songs “Beyond Tomorrow” was sung by Perry Como and sounds brilliant on vinyl. 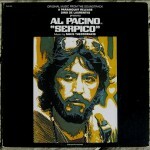 Al Pacino Serpico Soundtrack SEALED! Paramount Composer Mikis Theodorakis. 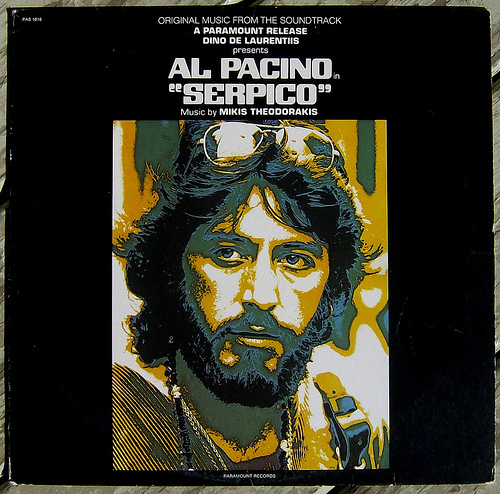 SERPICO - ORIGINAL SOUNDTRACK - PARAMOUNT RECORDS-PAS 1016 - "SEALED"